Pita chips are one of those things that taste great store bought, but are even more amazing when they are made at home. The beauty of making them yourself is that you can really flavor them up any way you want. Plus, they are perfectly crisp when they come out of the oven since they don’t have to waste any time on store shelves. 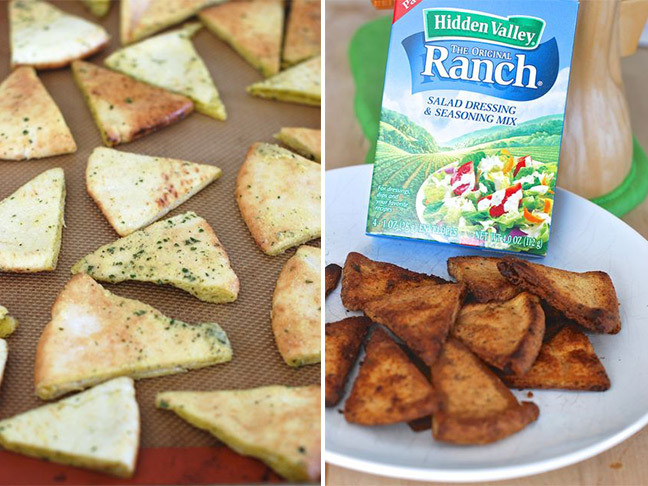 Making ranch baked pita chips at home is so much easier than you think. 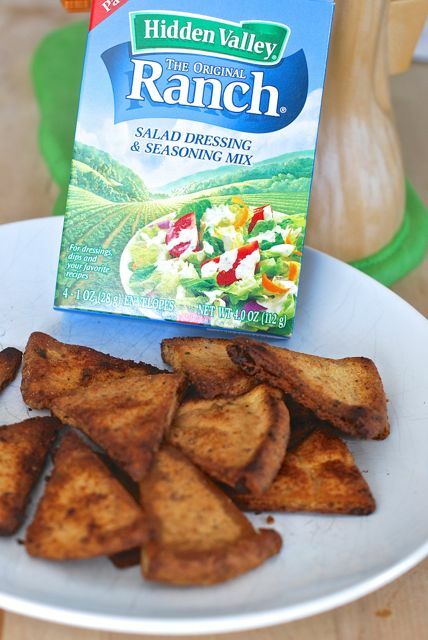 I like flavoring them with a packet of Hidden Valley® Original Ranch® Salad Dressing and Seasoning Mix because they taste exactly like ranch-flavored potato chips. Once they are cool enough to touch we usually devour the platter right away. They make a great snack on their own, are perfect for the lunchbox, and have even proven delicious to my teething toddler! Step 1: Preheat the oven to 375 degrees F. Line a large baking sheet with parchment paper and set aside. 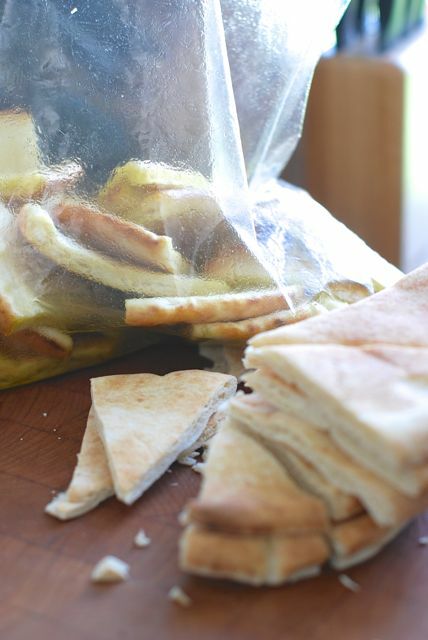 Step 2: Cut the pita chips into triangles and add half to a large zip-top bag. Pour in half of the olive oil and seal the bag. Swish the bread around so that it gets evenly coated with the oil. 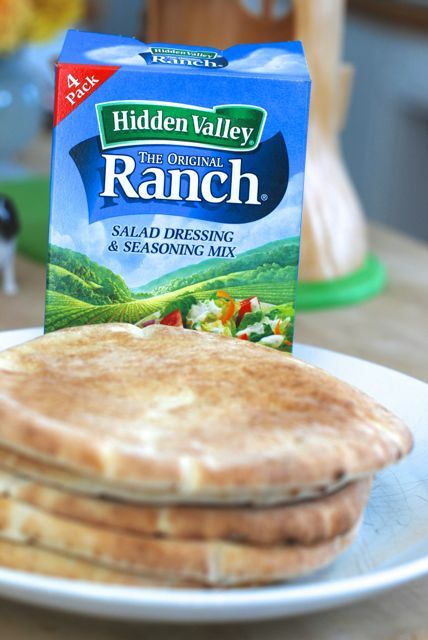 Then, add a 1/2 of the Hidden Valley® Original Ranch® Salad Dressing & Seasoning Mix and seal the bag again. Toss the bread in the bag until you get an even coat. Step 3: Place the triangles on a lined baking sheet and bake for 10 minutes, or until lightly golden brown. 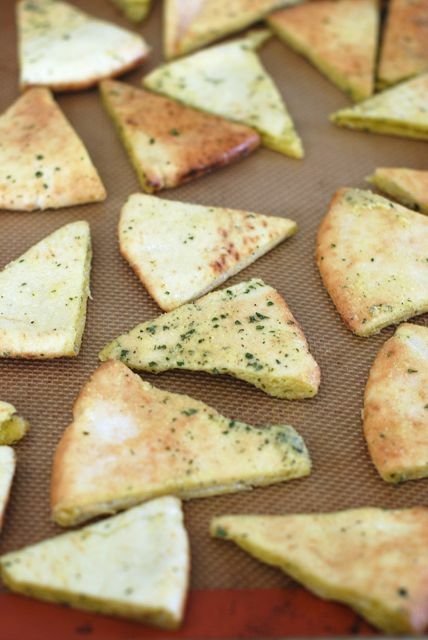 Flip the triangles with a pair of tongs and bake for an additional 5 minutes, or until deep golden brown and crispy. Step 4: Remove the pita chips to a plate to cool. Step 5: Repeat with remaining pita triangles to make the second batch.